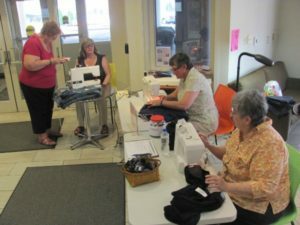 The Monona Library Mending Day, developed by The Sewing Machine Project will be held on the second Sunday of the month (Sept to May) from 2-4 pm. Bring in your loved but worn clothes for mending …or get a head start on freshening up your wardrobe with some trim and buttons. It’s free! Our wonderful volunteers will hem, mend, and patch items for people. Some restrictions apply and mending is done on a first come basis. Four 100% cotton flour sack towels are included in the class fee. If you would like to dye a t-shirt as well, bring one that is 100% cotton. No fabric dyeing experience is required. 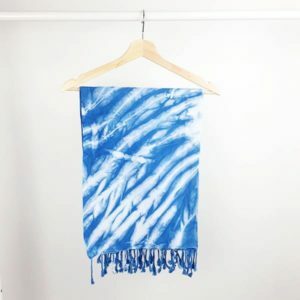 You will learn the fundamentals of Japanese Shibori techniques and indigo dyeing and about Indigo chemistry and history. Dress in clothes and shoes that can get stained blue. 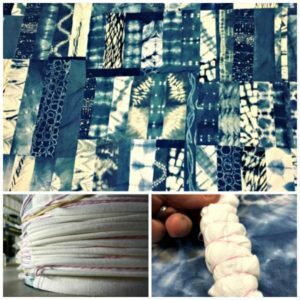 If you have ever taken an Indigo Dye class with Jennifer Falkowski, you are welcome to join Club Indigo. 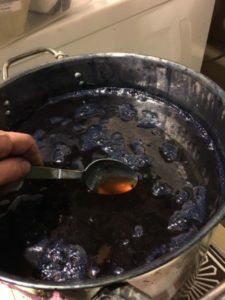 Jennifer will open up her indigo vats on the First Sunday of every month in the dye studio of The Electric Needle from 11 - 3.